Does Missouri need a state dental director? Listen to this week's Health and Wealth Update to learn about Missouri's first oral health caucus and why it's pushing for the state to have a dental director. The Missouri General Assembly now has an oral health caucus. Co-chaired by Reps. Donna Lichtenegger (R-Jackson) and Jeanne Kirkton (D-Webster Groves), the caucus held its first meeting Monday, Feb. 11. A big item on the caucus' agenda? Reinstating the position of dental director in the state's health department. The argument for a dental director goes back to different national reports released in recent years that gave Missouri bad grades for its oral health. The CDC, for example ranked Missourians' access to oral care 47th in the nation. "We don't have much further to go down before we're dead last," said Gary Harbison, executive director of the Missouri Coalition for Oral Health, the nonprofit currently leading the charge to change Missouri's oral health situation. 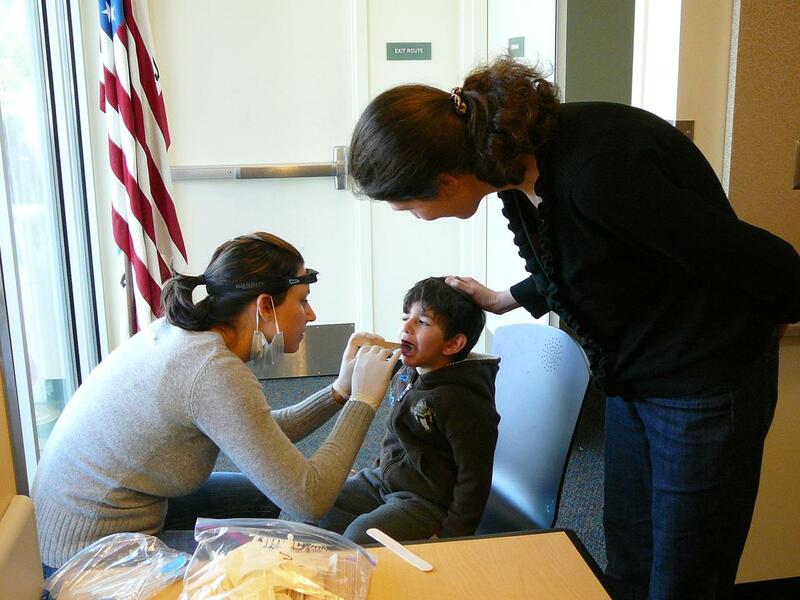 Helping create an oral health caucus was one of the coalition's main goals. 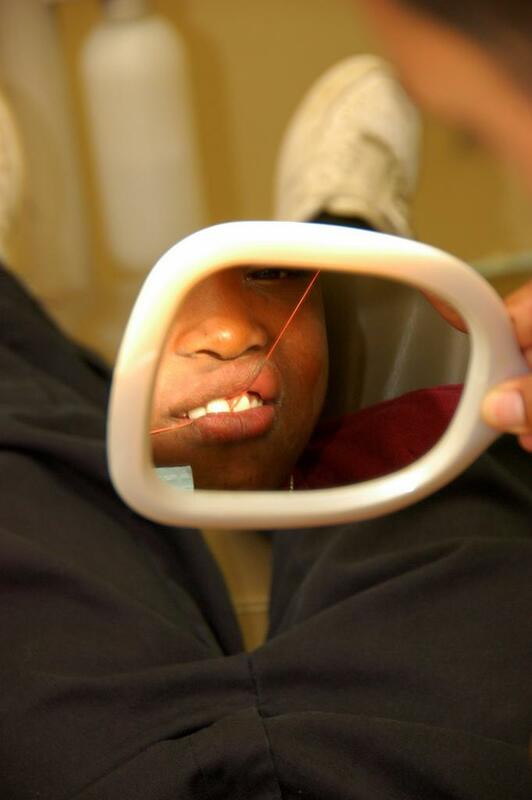 Just last month, KBIA's Ryan Famuliner reported the Pew Charitable Trust gave Missouri a D on an A to F scale when it comes to providing dental sealants to high-risk children. For more bad grades, read the first dozen or so pages of this report, prepared in 2012 for the Health Care Foundation of Greater Kansas City, Missouri Foundation for Health and REACH Healthcare Foundation. Oral health caucus founder and co-chair Rep. Donna Lichtenegger worked as a dental hygienist for nearly 40 years. She said she hopes the caucus can be a platform where her peers can learn about the importance of oral health. Lichtenegger and Harbison both believe reinstating the dental director position can help improve Missouri's oral health, or at least make issues related to oral health higher in the state's agenda. By state statute, Missouri is required to have an oral health program. According to the directory on the Association of State and Territorial Dental Directors website, the state employs an oral health program manager. It's unclear exactly what she does, but Harbison says the manager doesn't have the authority that a dental director would have. Missouri's last dental director was Dean Perkins, DDS, MPH. After serving in the position for 13 years, he retired in 2003 and never had a successor. Harbison speculates the reason to be budget constraints within the health department, but says he can't be sure. The department has yet to respond to KBIA's repeated inquiries. All of the states surrounding Missouri have dental directors. Dr. Bob Russell is Iowa's. He said since he assumed that position, he has helped increase dental care access for children under Medicaid. He did this by helping create a program that refer children to dentists who take Medicaid patients, while also ensuring the children make it to their appointments. “We started this program in 2006, where we were roughly 35-38 percent of our children 12 and under getting a visit with dentists and now our latest data tell us we’re at 61 percent,” Russell said. It's getting closer to the rates of visits for children with insurance -- data say 65 percent those kids go to the dentist. Gary Harbison says in Kansas, the dental director gets federal funds to help set up dental sealant programs in schools, so that low-income kids can get better access to sealants, which help prevent cavity on permanent molars. But a state dental director is an expensive position to fund. Harbison estimates the cost to be about $120,000 per year. He says most states have dentists who also have training in public dental health as their directors. Despite the cost, Harbison says dental directors help bring in federal grants to Missouri -- grants that the state hasn’t been able to apply for because it doesn’t have a dental director. “Although there’s no guarantee we would get those, I think we would be very competitive because our numbers are so poor," Harbison said. Rep. Lichtenegger has drafted a legislation that would require Missouri to have a state dental director. "We have to be very careful the way we do this," Lichtenegger said. "I'm hoping that maybe we could get this done through funds, at least from the start, through Missouri Dental Association or the Missouri Dental Hygiene Association." Caucus co-chair Rep. Kirkton is a co-sponsor of Lichtenegger's bill. She's confident more legislators will come forward and co-sponsor, as well. As for the oral health caucus, the next meeting is set for March. Lichtenegger hopes to share with her fellow representatives how oral health programs in several different counties have helped better Missourians' access to dental care. Her home county, Cape Girardeau, has the Oral Health Coalition of Southeast Missouri, which manages a list of dentists that would care for low-income patients, as well as provide dental screenings and flouride varnish services in Cape Girardeau's school districts. The Pew Charitable Trust’s Center on the States recently released a report or oral health that didn’t speak too highly of Missouri. On an A through F scale, it gave the state a D for its efforts to provide access to dental sealants for high-need kids. Dental sealants are plastic coatings put on children’s molars after they first come in that help prevent decay.